The action never stops in Breaking Worlds by D. Hart St. Martin. This installation in the Lisen of Solsta saga is easy to dive into, even if you haven’t read the previous volumes. The gut wrenching emotion that pours out of this novel is gripping and drives the reader forward: looking for the resolution of such a familial rift. The energy is compelling as the story drives forward. We learn about the divide between Lisen and Korin. We witness as their daughter Rinli undergoes what could be described as an evolution and her determination to change the world they live in shakes both mother and father to the core. This book has clearly been crafted with care and is sure to not disappoint new and returning readers. St. Martin is a veteran at her craft. The raw emotions that both Korin and Lisen feel at the death of their daughter are so palpable the reader can’t help but feel those emotions running through their own veins as they read. It can be difficult to describe such grief, let alone show how it can consume an individual, but St. Martin does it with grace. As Korin wrestles with emotion that he has never felt before he wonders how others can live after feeling it. It is such a powerful statement that it will resonate with anyone who has ever felt pain at the loss of a loved one. Such descriptive power carries on throughout the book and enhances the story. It can be hard to come into a series without the backstory of previous volumes. While there may be some slight confusion for new readers, St. Martin explains things in such a way that it’s not overwhelming and readers do not become lost. There is a guide at the back of the book that lays out the main characters and some demographic information on them that can be helpful. It also assists readers that St. Martin writes as if readers have either forgotten or have limited knowledge of previous installments. This is helpful for new readers and doesn’t detract from the amazing story she is trying to tell. This can be a delicate balance to keep, but St. Martin knows exactly what she’s doing and demonstrates her ability to craft an excellent tale. 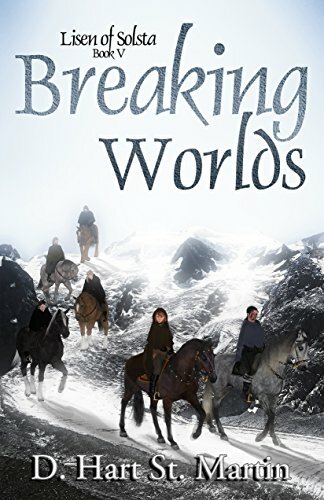 Any reader who wants to throw themselves into the grip of an epic fantasy-adventure book needs to look no further than Breaking Worlds by D. Hart St. Martin. While this particular book is the fifth in a series, the carefully crafted world and elaborate world building is more than enough to grab the attention of new and returning readers. The raw human emotion that laces this book as our protagonists manage their grief, their pain and the familial rift that threatens to consume the world as they know it enhances the base storyline. Readers won’t be able to get enough as they consume the delicious story laid out before them. In Book II of the Lisen of Solsta series, Tainted takes readers back to the land of Garla and introduces us to the dangerous land of Thristas. What was the inspiration for these fantastically imagined worlds? Truthfully, I based them on my home of Southern California with the cooler areas to the west of the mountains and the desert to the east. My picture was more of Rome or Greece at the height of their power than of some middle European medieval land, and the white-marble and columned Avaret Keep exemplifies the architectural feel I was looking for. When it came to Thristas, I love the desert. Lisen’s response of awe as she and Korin come through the Pass and she sees Thristas for the first time expresses my feelings about the deserts of California. Most people see deserts as dry, sterile places, but they teem with life–both animal and plant life. My inspiration was to show the breadth and depth of this life and its influence on a people who had lived there for many generations, establishing a culture separate from Garla’s and giving their lives a meaning dependent on no one save themselves. Lisen develops as a dynamic, heroic character, constantly fighting her surroundings and learning more about herself. How did you tackle character development in this story that is different from book 1? Lisen is, of course, a work in progress. It is absolutely essential that she struggle to find who she is in this mess that she sees as her life. All bets are off for her. It’s do or die, and as she begins to realize that she cannot win without cheating and that she must win in order to fulfill her mother’s hope for her, she also recognizes that she must find a way to become a person who she isn’t quite yet. I loved exploring her hidden spaces and corners, seeking out the fortitude within her to make it possible for her to do what she does at the end of the book. And when the degree of her ferocity came to me one day driving home from the grocery store in the guise of that moment when she cuts off her braids and then tells Nalin she never was a hermit, I knew I’d found the Lisen she needed to find on her journey. There is a holiday in this story called Evenday/Evennight. How did you come up with this idea and develop it in your story? You will note that in Garla, they call it Evenday because they live and work under the light of the sun. On the other hand, the Thristans call it Evennight because the center of their lives, the time conducive to productivity, is in the dark, away from the searing heat of that very light the Garlans worship. This day on earth is called the vernal equinox, and I saw the Thristans as being closer to nature and therefore more likely to attach a more spiritual importance to it than the Garlans. Hence their centering of an entire ritual around it, while the Garlans celebrate it more casually. 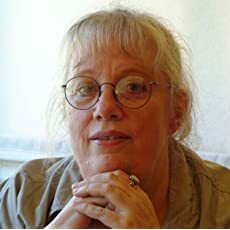 A lot of the Thristan culture revolves around something akin to the nature-centered cultures of our own world, including Wicca. 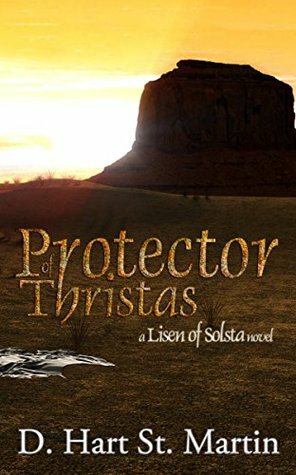 Where does the third book in the Lisen of Solsta series take readers? Two major questions remain. What happens to Korin and the special “package” he carries away from Lisen and Avaret at the end of Tainted? And what the heck are they going to do about the unstoppable Lorain? Lisen has seen Thristas for herself and is apparently the first Empir to have done so, and that alone puts her in a unique position in her dealings with Thristas as their “Protector.” I think, however, that the most fascinating aspect that opened itself up to me for inquiry was how the miracle of child-bearing might affect a man. I explored and hopefully resolved the questions and conflicts raised by the events in the first two books by digging deeper into both Garlan and Thristan culture and by opening up the possibilities for redemption for Lisen but only if she can accept the fact that as Empir she has responsibilities that sometimes require desperate and even cruel measures to fulfill them. “In Fractured, Lisen Holt, Valley girl, beach lover, learned she doesn’t belong on Earth. Re-adapting to Garla, the place of her birth, proved difficult, but the greater challenge was learning that she is the Heir-Empir and must confront her brother for the throne. Witnessing her only friend’s murder, defending her own life with forbidden power, and succumbing to possession by her friend’s soul left Lisen fractured, with little hope she’d ever recover. 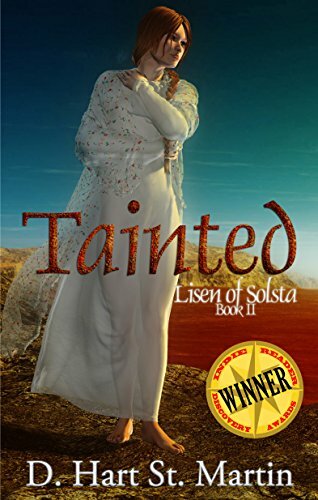 In Book II of the Lisen of Solsta series, Tainted by D. Hart St. Martin takes the reader back to the land of Garla and also introduces us to the dangerous land of Thristas. After overcoming a harrowing event, Lisen must develop her strength in order to fulfill her destiny: to become the Empir of Garla. With the loyal Captain Rosarel at her side, Lisen hides away in the desert lands of Thristas, growing in ways she’d never imagined. Tainted by dark impulses that threaten to destroy her, Lisen must ultimately decide which promises she’ll break and which promises she’ll keep. 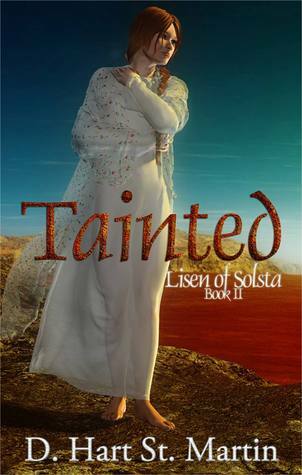 After reading Fractured, the first book in the Lisen of Solsta series, I was pretty psyched to read Tainted. 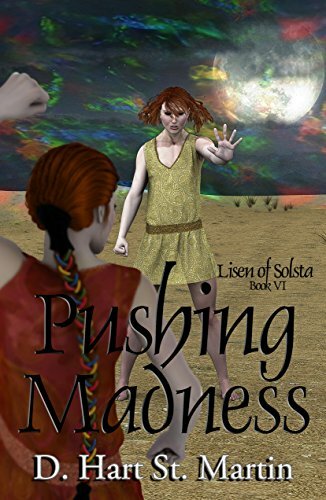 The book begins where the first one left off—Lisen of Solsta, the heroine of the story, is recovering from almost succumbing to madness beyond the point of no return. Once she’s fully recovered, she continues her trek with Captain Korin Rosarel to Avaret in order to face her brother, Ariel Ilazer, who is currently ruling as Empir. In a decision to keep her safe, Korin takes Lisen to Thristas, a desert land with a unique way of life. Under the guise of two former Guards in love, they discover that Lisen must commit to cultural rituals that threaten to change their relationship. 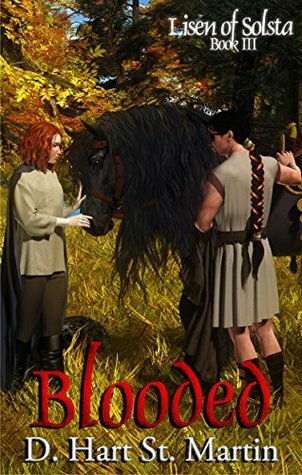 I’m always a sucker for romantic subplots in fantasy novels, and this twist creates a romantic tension that continues to develop throughout the novel, morphing into a love triangle once Nalin’s feelings become revealed. Even with the romantic subplot, Lisen develops as a dynamic, heroic character, constantly fighting her surroundings and learning more about herself. St. Martin does an excellent job with maintaining strong values in Lisen— overcoming gender norms, Lisen fights off forces that try to weaken her, and she continually quips sassy, sarcastic remarks. It’s fun to watch Lisen adapt to different environments, especially once she discovers her true purpose in life. Even while Korin and Lisen continue with combat training, Lisen has her own plans, as she secretly trains her mind and develops her necropathic powers. What excited me most about this sequel was how intricately St. Martin wove the other characters into the plot. My favorite example of this is in a chapter about “Evenday/Evennight,” a holiday in the land of Garla and Thristas. Ariel and Lorain, his soon-to-be spouse and the mother of his unborn child, have a drastically different Evennight than the other characters— especially Korin and Lisen, who experience Farii, a Thristan fertility ritual. Through taking various characters’ perspectives, St. Martin creates unique vantage points for the reader during such a heightened moment in the plot. There’s a few characters that I wished were featured more often, such as Bala and Titus, but I wouldn’t be surprised if those characters play a bigger role in the third book. After weaving multiple characters’ perspectives throughout the novel, the final chapters, filled with fast-paced action and a few plot twists, bring all the characters’ paths together in a masterful way. Ending with a cliffhanger regarding the fates of Korin and Lisen, I can’t wait to see what happens next in the final book of the trilogy. 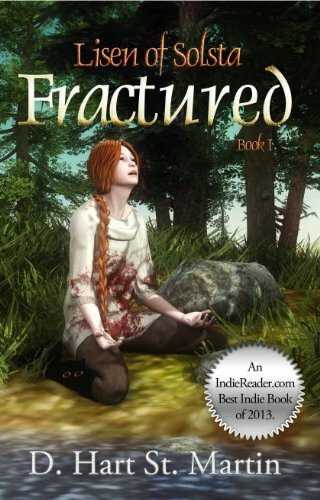 Fractured is a captivating story of heroism, greed, and fulfilling one’s destiny. What was the initial idea behind this story and how did that transform as you were writing the novel? Dune is perhaps my favorite book ever. I read it back in the day. After reading Dune Messiah, I was sure I knew what would happen next. When Children of Dune was published, I read it and threw it across the room, saying, “If Frank Herbert won’t write the book I want to read, I’ll write it.” I had no idea what I was doing, and I certainly had no concept whatsoever of where this first step of the journey would take me. But I knew I needed a “gimmick.” That’s when the idea of a world where sexism had never existed entered the story, but what began as a gimmick became an opportunity to define character with the facets of light and dark that exist in all of us rather than by the character’s genitalia and served as a significant guide to my world-building. Who are these beings that in their society there is no division of labor by gender? What differences between earth humans and the people of Garla (physical and mental) would bring such a thing about? Lisen is a complex teenage girl that is brought to life by your writing style. What were the morals you were trying to caputre while creating your characters? None of my characters is either all good or all bad. I revel in the gift of digging down deep and finding the darkness in the light and vice versa. For me, each character deserves the opportunity to show the reader all they’ve got and allow the reader to judge for herself. As for morals, I believe that one must know how to think before one can make any moral decision. Even then, the moral decision may not be the best decision at the moment. Sometimes, we have to sacrifice the “good” thing for the “right” thing (a major decision in book 2 illustrates that). Luckily, Lisen comes into the story with some pretty strong ethics that have been taught to her by the Holts, her guardians on earth. This allows me as the writer to challenge those ethics and see how she does. What I loved most about the novel is that it plays with the idea of who is truly in charge of shaping our path in life. Did you put any of yourself or your experiences into this book? I have always had a strong connection to the dead, but certainly not to the extent that Lisen does with her gift as a necropath. I think one of the most interesting aspects of the story is the character of Flandari, a woman too tightly wound to give her son any love at all and who is ultimately stolen away from Lisen before Lisen gets a chance to know her. My mother was a distant woman, and I realized after creating the character of Flandari that she was very like my own mother. Unlike me, however, Lisen finds a way to love. She makes a friend in Jozan, and there is clearly something going on with her Captain Cutie. She’s open to the possibilities, and this is thanks to her time with the Holts. Fractured is book 1 in the Lisen of Solsta series. Where does book to take the characters and what do you invision for the series in the future? 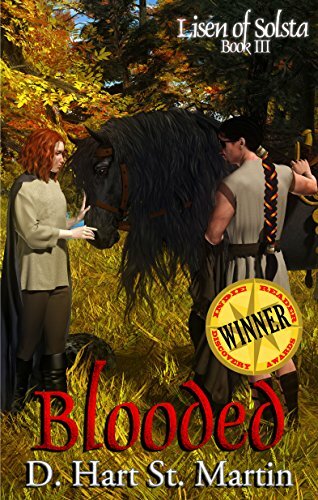 There are 3 more books already available: Tainted, book 2, in which Lisen must come to terms with what to do about her brother (and which contains the true beginning of the match between her and Korin); Blooded, book 3, which finds Lisen struggling with this new mantle on her shoulders of Empir; and Protector of Thristas, book 4, which begins fifteen years after the end of Blooded because I wanted to know who these people became when they grew up. I am currently working on what was originally book 5 and the final book. However, it’s turning into a longer project than originally planned, and although it will still put an end to the story, it’s likely to be two books rather than one.